Dual compound front tire (3LC) with revised profile generates higher grip at lower lean angles. Very nice tire. Good all around traction. Would definitely recommend. Mostly ridden for track days. 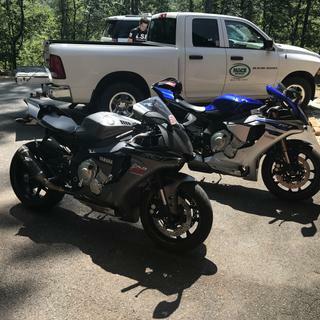 08 CBR100RR Lasts about 3-4 days on a rear, double for the front. Quick Intermediate pace. Overheated the rear a time or two but for the most part a solid performer for the price. I’ve not mounted it yet, but I had them on my previous SuperdukeR and they’ll go on my new 1290R as soon as the stock Metzelers wear out. Like the title says, I’ve had them before and if they kept making them I’d buy them again. Came with the bike I bought used. I bought a Ducati 848 and it came with these tires. They had about 2000 miles on them. I have not ridden it on the street, but took it to a track day and I would say these tires compare well to Dunlop Q3's which I normally use. I am a mid B level rider. The tires showed really good wear and grip texture (no cold tearing) after they were warmed up in a couple laps. They heated up to about 100 in fhe front and 115 in the back with 32 and 30 lbs of pressure respectively. I would definitely recommend them as a relatively lower price street/track tire. First Bridgestone tires ever for me. So far very impressed overall. Great feedback from the front, feel solid from off. Can't fault the dry grip and inspire confidence on wet roads as well. With the promotional offer doubt a better deal can be found. Have not road it far enough to see how the tire wears. But it seem to do real well, I'm still here ?? This is a great tire. I have been running them on my S1000R for some time now. I get over 3k on the, they are great in rain and stick very well. I was always using sport touring tires which has flat profile so when I switched to s21, it felt so easy to lean in corners. Quick warm up and good grip. These are the best tires for the money I have ever ran. This is my 5th set since they came out and they keep getting better. Grip and handling is great. Have been very happy with this tire. Bridgestone S21s are great for track days with their 2 to 3 compounds. 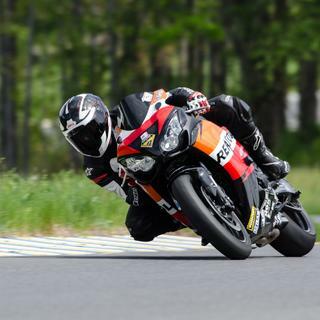 Corner grip was no problem at Road America riding my ZX14R. Because of the harder center compound the rear tire also gave me 6000 street miles. Large cc sport bikes eat tires. This is my 3rd pair of S21s. I have had 4 ZX14s and tried many brands, these are the best bang for the buck. Grip for the corners plus highway miles. Best for commuters who occasionally go canyon carving. For track use I would not recommend it for anything other than B- / C group. And then only brand new. The center strip does not offer much grip at all during aggressive downshifting or accelerating (for a sport bike tire). Yes, you can drag knee pretty much anywhere with this tire, but the rear will wear in a concave fashion (at least several of mine did). Its a good option if Q3's are a bit too expensive for you. In the wet, be VERY careful... the rear center strip does not like moisture. No more high speed wobble. These tires inspire confidence in the corners. Turn-in is much easier than the stock Qualifiers that came with my Dorsoduro. The price and rebate could not be beat. currently have about 300 miles on the tires and as of right now these are the best tires I have ever had on a motorcycle. Awesome front end feel and great feed back in rain and dry (I live in Florida so I have already been in rain ). I am a one percenter that put more miles on my motorcycle in a year than my car. I have about 11000 miles on my Yamaha FZ10 and this is my second front. I have ridden on all the major brands of tires and honestly these are by far the best tires I have ridden on. No break in time for the tires.... Put them on and haul. I actually had to remind myself that I was on new tires and slow down. Tread life is to be determined but I'm hoping to get about 8k miles out of the front... for me I can go one front for every two rears. I now have about 2000 or so hard ridden miles on these tires, and I have to say, they are as good, or better than the Q3. I've been riding these pretty hard, and often, in the foothills/twisties, and I would for sure buy them again, especially at the last price I got them at along with rebate. What a deal! Try these tires, you will not be disappointed. 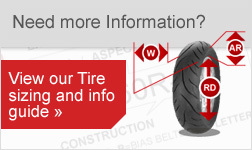 Keep your eyes open for a Bridgestone rebate too! Bridgestone S21 provide excellent grip with longer tread life than its competitors. I've been riding sportbikes for over 20 years and these are the best overall tires I've ever used. I used to use and love the Michelin Pilot Powers, Pirelli Diablo Rosso Corsa, and various Metzler tires overt the years. While they all had decent grip and life, the Brisgestone S21 tires same to stick add good and I love the fact that the front ate dial compound. This helps when you do a bit of straight riding like I have to do here in Florida to get to any roads with curves. Great at a great price.I usually run pilot powers but the bridgestone is just as good at a cheaper price. Excellent confidence feel of stability in cornering in both dry and wet conditions. I love the feel of the front tire. It really gives you some confidence. I got these before my Gap trip but scrubbed them in today and love them so far. Great grip! Great tires I have tried all top brands and these are just as good or better. Good gripping tire right out of the garage, no warm up needed. just put it on so we'll see about wet weather and tire life. Hello all, I've put 1500 miles on my new set of S21's and they seem to check all the boxes for me... (so far at least, I'd still like to do a track day with a new set). They warm up quick and provide predictable turn in, consistent feedback and stability, with very good grip at all lean angles. Braking stability (straight line heavy front brake, as well as, trail braking into corners) is also very good and predictable. These tires offer a huge amount of grip for a street tire and also have good feedback at or near the limit, which inspires confidence. But... as we know, the condition of the pavement, bike set up, skill level, etc. plays a big role in how much grip is available. Always be mindful of what might effect tire grip. Safety first, please. I've been sport riding for 25 years with some track days sprinkled in here and there (I'm into bike control and lean angle), so I've had the opportunity to sample many sets of tires within the top brands over the years. With current high end sport tires I typically get 2000 to 3500 street miles out of a set. After the initial 1500 miles (sport riding miles only) I am impressed at how well the S21's are holding up, especially for the grip that they provide! They look like they could last ~3500, maybe even more! Great tire and great value! RM please send me another set! 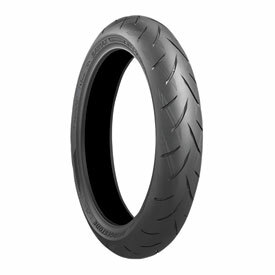 I have used many Bridgestone BT-016 and then S20's on my S2R1000 until I switched to Dunlop Q3's. The Q3 tires made all the previous Bridgestones feel very slow turning and unresponsive by comparison. I thought I was done with Bridgestone until the new S21's came out and thought I would give them a try. 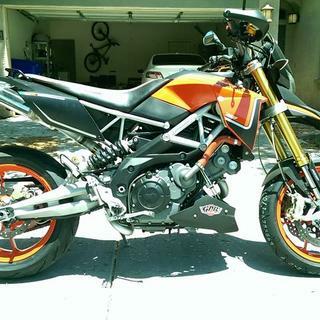 Wow, what a huge improvement over all other Bridgestone street sportbike tires. They are very responsive, very stabe and stick like glue in the dry. By comparison to the Q3's, they may be just slightly slower turning (but still very quick) and more stable and may even offer better traction. I am glad to see Bridgestone come back strong. These are going to be fun tires! I just bought my first set of S21's and I got around 600 miles on them now and they are phenomenal tires!!! I rode on Dunlop Q3 sport max for years but now I'm all Bridgestone!!! I get a lot of feedback off these tires in the twisties!! Can't wait to get a back tire as well. This tire performs much better than the Pirelli Diablo Rosso Corsa that came on my bike and is cheaper and should last longer. Getting the bike to lean in the corners is mush easier and I can ride a lot more confidently through the canyons here in Utah. I have nothing but good to say about this tire so far.